During infection of the host plant, various biological processes facilitate host invasion, including the physical invasion of the host, and subsequent adaptation to the host’s internal environment. During these processes, cellular biological changes result in host adhesion, morphogenetic differentiation via the sensing of plant-derived signals, and maturation of infection structures via reorientation of the cytoskeleton. Changes in lipid and sugar metabolism in fungi generate energy for survival, turgor pressure, and melanin synthesis. 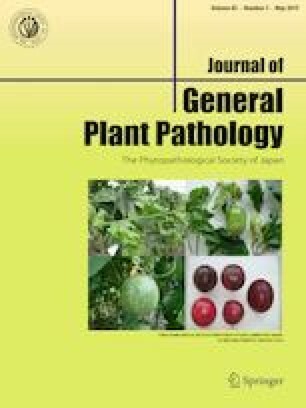 Moreover, phytopathogenic fungi produce numerous types of effectors used in the evasion of host defense systems and to establish a suitable environment for nutrient exploitation. However, infection systems seem to vary between fungal species because of differences in their evolutionary origin. This research was supported by Grants-in-Aid for Scientific Research B (No. 18380033), Grants-in-Aid for Young Scientists B (No. 19780036), Grants-in-Aid for Young Scientists A (No. 23688006), and Grants-in-Aid for Challenging exploratory Research (17K19266) from the Japan Society for the Promotion of Science.